Windows 10 is still playing my franchise fine, but I had to greatly reduce my FPS. It was at 320 FPS when I first fired up the game. Couldn't even see the baseballs being pitched. When I first started MVP 15 it was scrolling so fast, and even the baseballs were spinning like crazy on the menu screen. I had to put it back down to 60FPS and it looks great with no glitches yet. I have all three of my Geforce cards burning, so I like what I see so far from 10. It even plays fine in Stereoscopic 3D on my 84 inch Samsung which is awesome looking! do you mind sharing any specific settings to get it working? I cant for the life of me get it to start. I tried checking the box to force a 640x400 resolution and i see a black screen then immediate exit, if i dont check the box, nothing even pops up. Interests:Baseball, Toas Kung Fu, Star Wars, GI Joe, He Man, and Transformers from the 80's collector. I've been married for 20 years, but don't forget the Strip clubs. I have it set with HDMI, 60 refresh rate, 1600 X 1024, 32 bit. I just had to extremely slow down my graphics cards. Hope this helps. Just did a fresh install into the program files (not x86). Installed the patch, installed MVP15, installed the patch, did the 4g thingy. Game does not boot up no matter what I do. Lucky I am dual booting my Win 10 and kept my Win 7 so I will just continue playing on Win 7 for now. have u set any compatibility on ur program and administrator rights? I just use auto-detect in the Nvidia control panel. It is a pretty normal setting though, so I don't think it makes a difference. hmm thats odd, did you reinstall it after upgrading? I'm just hoping I don't have to roll back Windows so I can play this game. I'm having no luck either. Most drivers etc. that worked in Win 8 are working in Win 10 so there must be some little glich that we will have to find. If it worked in 8 it should work in 10. People seem to be getting mixed results on a variety of things with this "upgrade". I re-installed and got it to work before the patches if this means anything. Re-installed with Win10 and not getting anything... eh. Try to make sure you do as much as you can as admin. 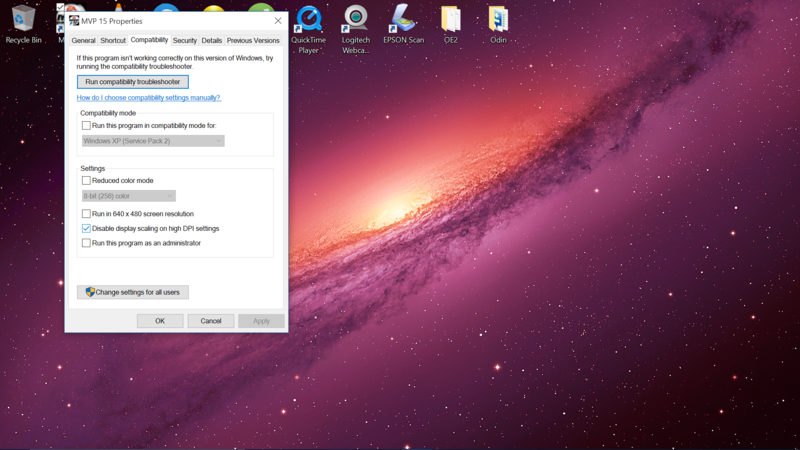 Win 10 is in protect mode and most of the time won't let you change settings or install things correctly without doing it as admin. Are those of you saying you have it working in Windows 10 doing disc-based installations in 64-bit Windows? The issue I've described with SafeDisc seems to be universal for any game with SECDRV.SYS and Windows 10, at least 64-bit (don't have a 32-bit system to test on). Civ IV is another game affected by the same problem.